We got an email just the other day that the ramps were in at the local farmers’ market just outside of Asheville. Yes, we have spies at the market! 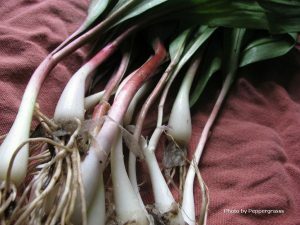 Okay, not really but since this is WNC’s largest outdoor farm market, it is usually the first place that ramps can be found in our area — unless you go harvest them yourself. So we thought we would share with you this nice fresh ramp vinaigrette recipe we found. 1. Trim off ends of ramps, clean and chop into ½ inch pieces (green and white parts). 2. 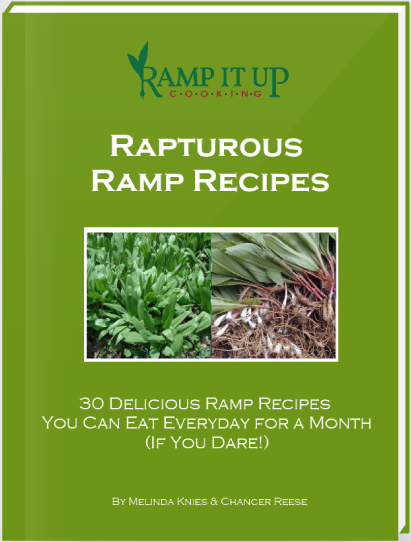 Place ramps, vinegar and mustard in a food processor or blender and process until pureed. 3. With the motor running, slowly pour in olive oil and blend until emulsified.